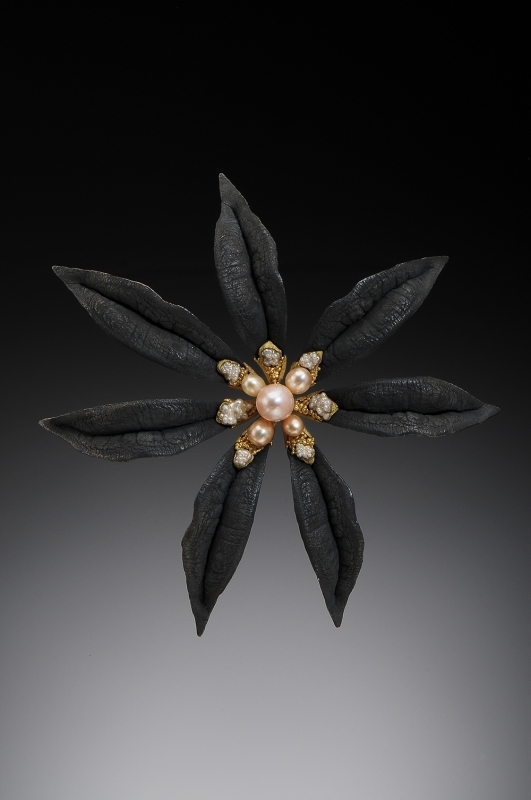 8 3/4" x 2 3/4" x 1/2"
5 1/4" x 5 1/2" x 1"
Heather White’s work is highly influenced by historical metal objects and ornamentation made for royal figures, non-secular rituals and military forces, such as crowns, brooches and other forms of adornment. 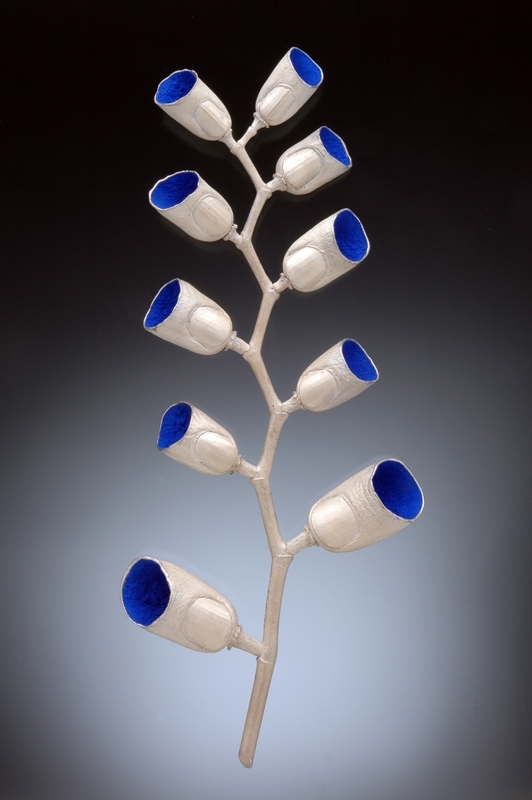 These pieces are at once beautiful, sculptural forms as well as functional objects that relate to the viewers’ physical presence, to the essence and history of antiquated objects and to the concerns of the era. White’s work combines the inherent beauty of working with precious metals with larger issues surrounding ornamentation and decoration. 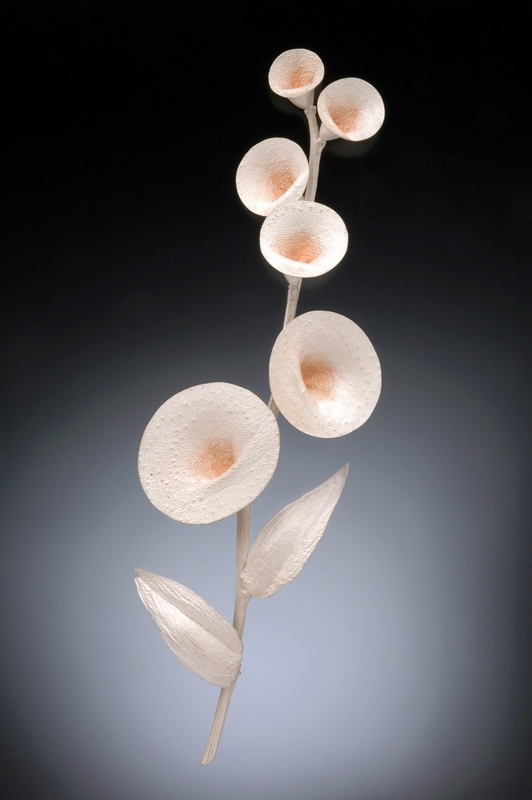 White currently teaches Metalsmithing and Jewelry at Massachusetts College of Art and Design.